My kids started school this week. The start of every school year I get excited over the idea of shopping for school supplies. There, I said it. I love shopping with my kids and roaming the aisles for some new twist on school supplies. The start of school this year happened to coincide with my move to a new office. Yea! My new office is going to be cream and gold. I am excited for a neutral backdrop to showcase designs to my clients. Once I am all settled, I will show you before and after pictures. 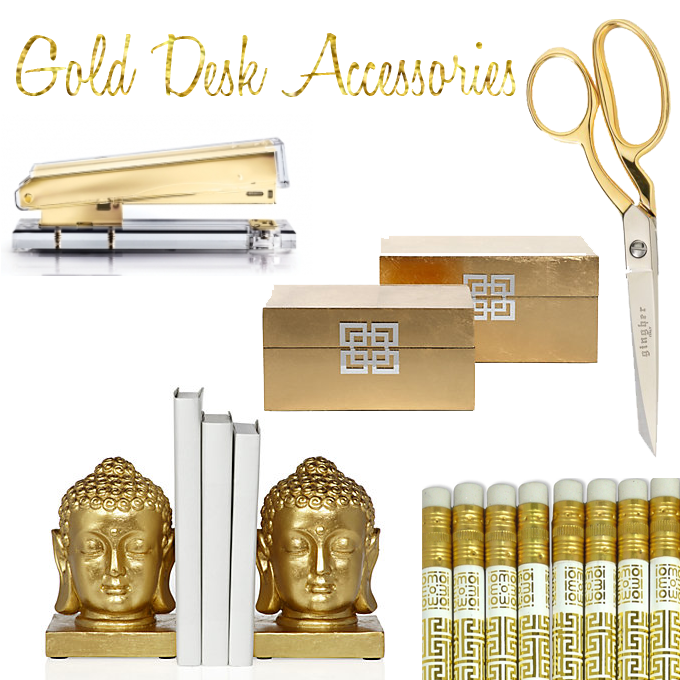 In the meantime, I wanted to share with you some gold desk accessories I have my eye on. What are your favorite luxury desk accessories?